Imagine if you had someone to talk to who also knew about the stress of running an art business. Artists to give you tips on what’s working for them; people you could support in their artistic endeavors who would also be supporting you. Think about what this could do for your art business! But, sometimes you can be so focused on creating art in the studio that you forget to take advantage of the art community at your fingertips. So, how do you connect with other artists? From events to attend to online communities to get involved in, we have rounded up five different places you can connect with other artists. A wonderful way for artists to connect is by signing up for a workshop—a fun and relaxed environment where you can brush up on your skills or learn a new medium just for fun. These events are an ideal haven to meet all sorts of artists who you can learn from, bounce ideas off of, and swap stories about running an art business. What better way to connect with your peers than by joining an association just for artists? Whether it is a local association in your city or an national organization like Oil Painters of America dedicated to your specific medium, find an association that works for you. 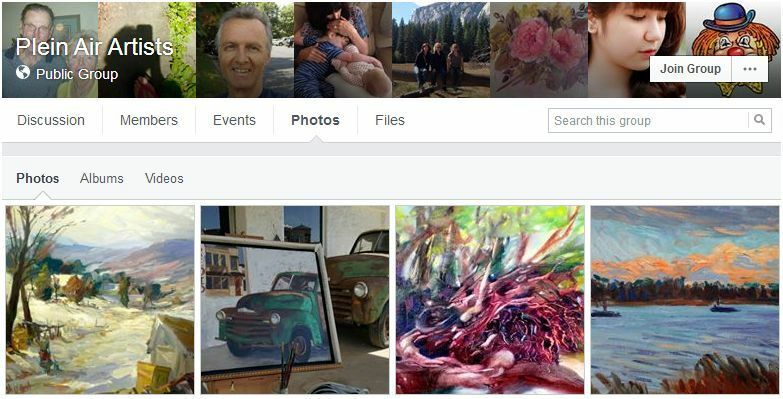 Facebook is brimming with artist groups waiting to be joined. In these handy online communities, you can mingle with hundreds of other artists to all share your art and knowledge. From sharing events and calls for entry to posting artwork for sale and tips for succeeding as an artist, Facebook groups are a quick way to connect and see what others are up to in the artist community. Just like physical artist associations, you can find local groups for artists in your town or national groups focusing on your area of expertise. Make sure the description of the group fits you and your needs so you can get the most out of connecting with these artists. In a Facebook group like “Plein Air Artists,” you can connect with other artists to get feedback on your latest work, promote your upcoming events, or hear about new calls for artists. LinkedIn groups are similar to Facebook Groups, but are usually geared towards helping artists professionally. You can discover different groups to join under the “Interests” tab when logged in to LinkedIn or search for anything you may want to be involved in. You can find anything from question-and-answer style groups about art marketing to groups for alumni of your art school. Decide who you want to connect with and join the community that will help you. “Art Marketing” is a LinkedIn group of over 35,000 members to engage in discussion and promote events, workshops, articles, and more. Studio tours are not just for art collectors and fans. They are a fun way for you to meet fellow artists, learn about their styles and processes, and enjoy a different experience of being in another artist’s creative space. Wood River Valley Studio Tour hosts an annual event in Idaho for visitors to explore the studios of Sun Valley artists. Sign up for a studio tour in your area set up by a local organization or join up with other artists you meet to hold your own. Ready for even more benefits? Gain insight into running an art business and make valuable connections along the way. Hoping to find more artists in your area? Search for local artists on Artwork Archive’s Discovery Page. Just click “Find Artists Near You” and type in your location. Branching out in the artist community and connecting with other artists can be immensely beneficial to your art business. Doing so can give you the opportunity to see how other artists are strategizing for their careers, learn about the processes they use to save time and stress, and network with influential people in the art industry. 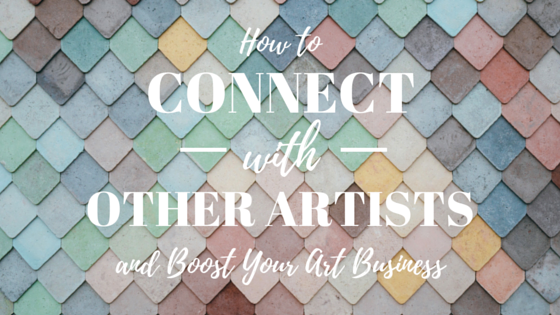 Whether you meet in person or online, taking these steps to connect with other artists can bring new life to your art business.